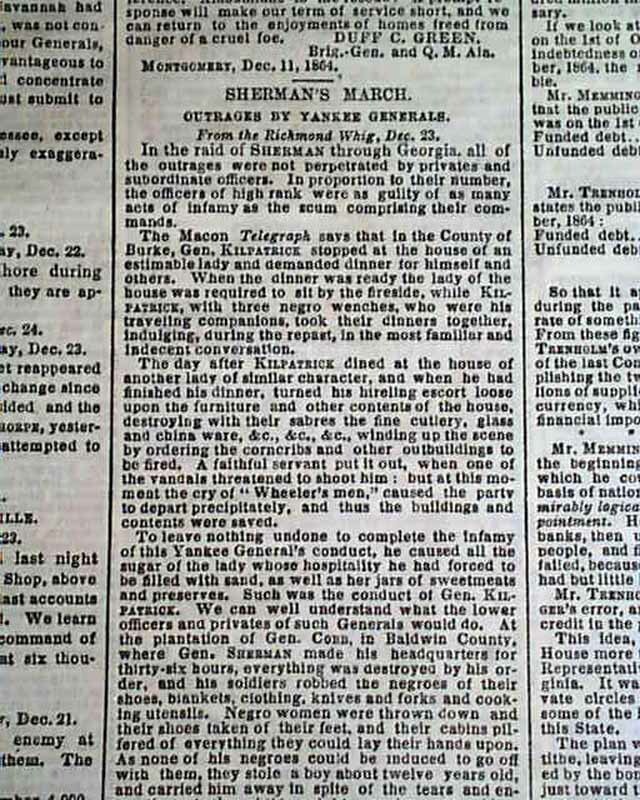 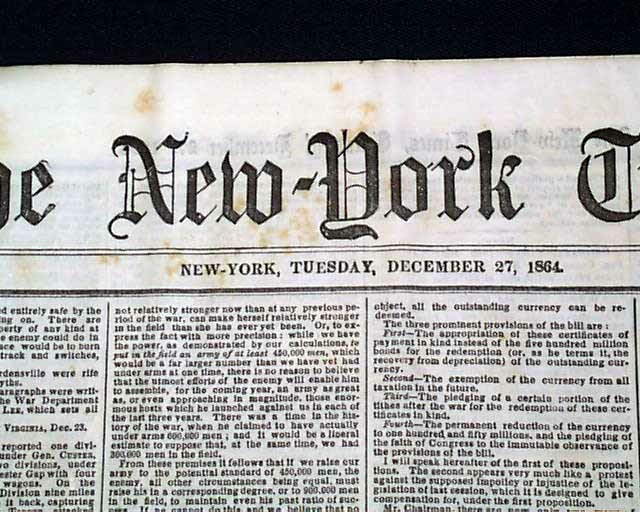 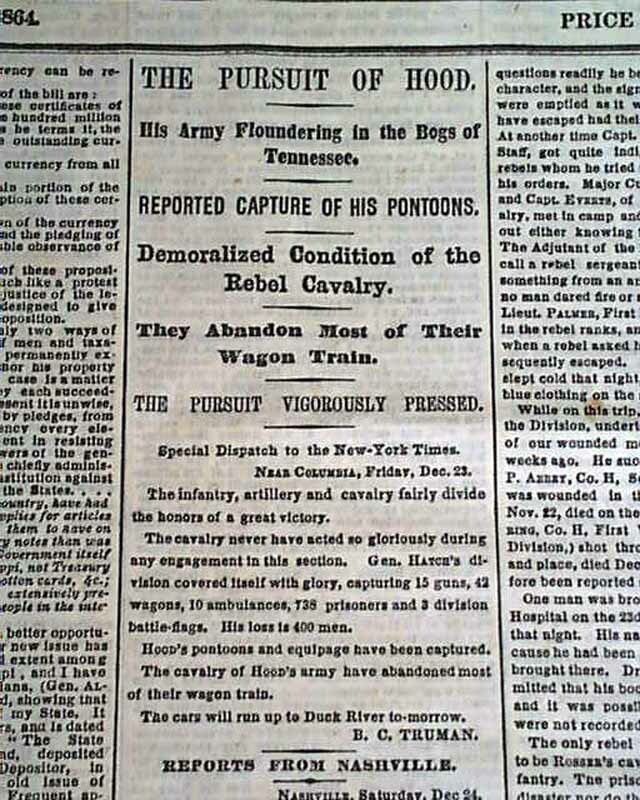 THE NEW YORK TIMES from New York, NY and dated December 27, 1864. 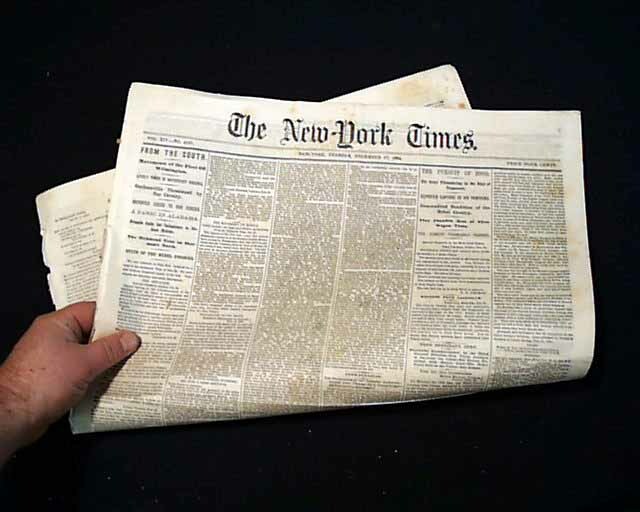 This 8 page newspaper is in nice condition due to the use of cotton and rag paper during this very historic time in U.S. history. 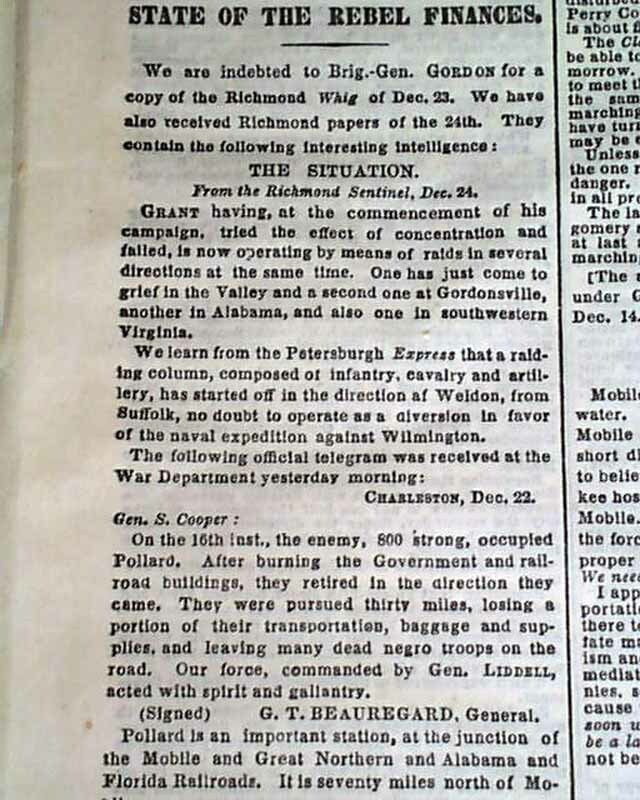 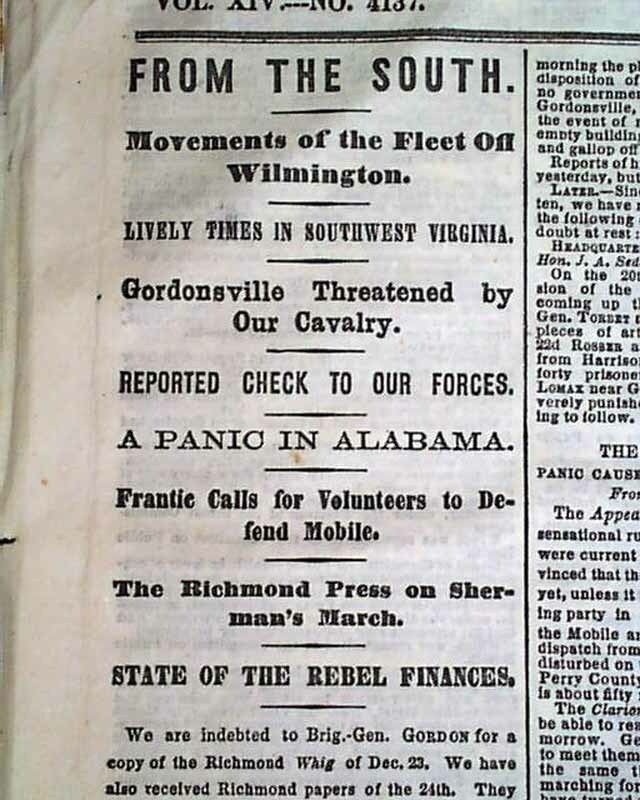 This issue is loaded with advertisements and Civil War reports throughout from the day it was first reported which includes the following headlines: "FROM THE SOUTH", "Movements of the Fleet Off Wilmington", "Gordonsville Threatened by Our Cavalry", "A PANIC IN ALABAMA", "THE PURSUIT OF HOOD", "Reported Capture Of His Pontoons", and much more. 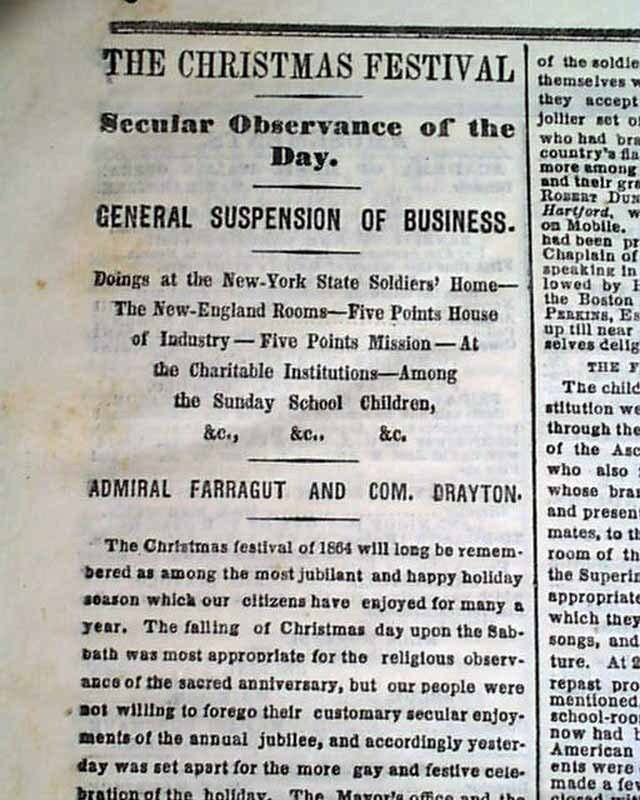 A nice piece of history from this famous newspaper.